Our wonderful Miamai shoe designer never forgets about all of the women in his life, which is lucky for us Miamai addicts! He had to make us a little tidbit for Shiny Shabby also, the JDHeel Pumps! The JDHeel Pumps are beautifully inspired vintage block heel pumps with a pointed toe and available in 4 fall colors. These leather pumps are right out of your great grandmothers closet and pair well with skirts, jeans, and huge sweaters! 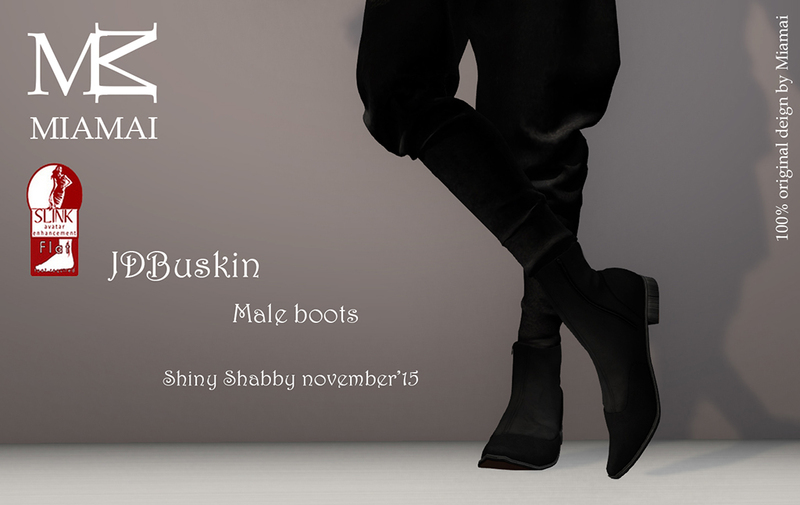 The JDHeel Pumps are 100% original Miamai mesh, materials, no mod, yes copy, no transfer, for slink medium feet, and only at Shiny Shabby.